Download free skating vector graphics. John Robert is a graphic designer, vector artist but first he is a skater. He created this cool urban vector illustration and shared it with the vector community so you can use it for your graphics. 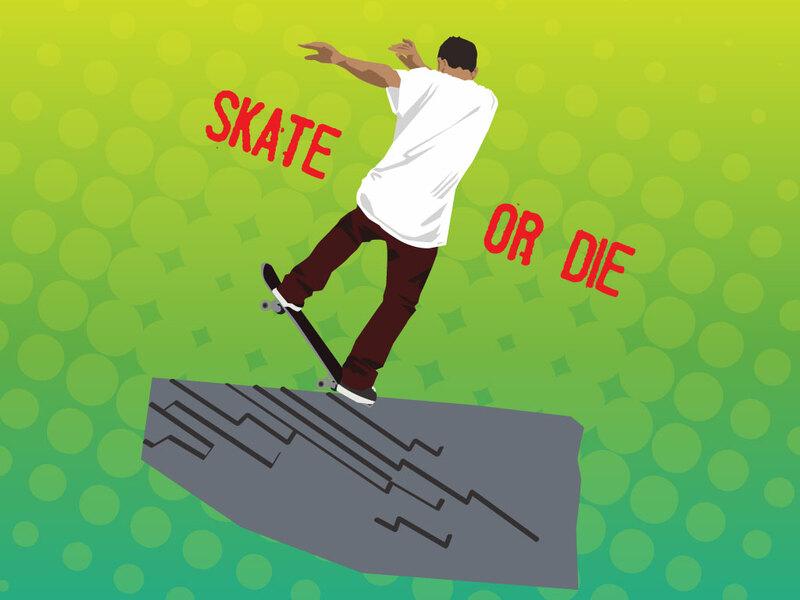 Skate of die, yeah! And if you're already dead? Skate even harder!! Tags: City, Jump, Skate Or Die, Skateboard, Skating, Street, Urban.